This page contains an overview of my edited books. Detailed information about selected books is provided separately; see the "More about..." links next to each book's entry. Edited by David Schlosberg and Marcel Wissenburg, , Palgrave Macmillan, December 2014. With contributions by Manuel Arias Maldonado, Marcel Wissenburg, Chad Flanders, Per-Anders Svärd, Clemens Driessen, David Schlosberg, Christie Smith, Simon Otjes, Kurtis Boyer, and Mihnea Tanasescu. The Telders Foundation is a Dutch liberal think tank, for which I have had the pleasure of cooperating on several research projects. ECPR European Political Science Series, Marcel Wissenburg and Yoram Levy (eds), London: Routledge 2004. ISBN 0-415-32195-6, ISBN 978-0-203-29967-8 (e-book). 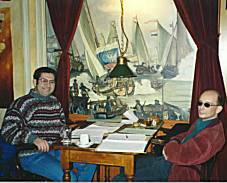 Marcel Wissenburg and John Barry (eds. ), London and New York: Palgrave, 2001. ISBN 0-333-91981-5. Marcel Wissenburg, Gökhan Orhan and Ute Collier (eds. ), Aldershot: Ashgate 1999. ISBN 1-84014-777-6. Proceedings (editor) - University of Nijmegen Press, Nijmegen 1995. ISBN 90-3730287-4.